The application of the Occupiers’ Liability Acts 1957 and 1984 in the context of health and safety has been considered by the courts in a number of cases. Barrister Robert Spicer reports. In summary, the Occupiers’ Liability Acts of 1957 and 1984 deal with the duty of care owed by an occupier to visitors. The duty of care is defined as a duty to take such care — as in all circumstances of the case — is reasonable to see that the visitor will be reasonably safe in using the premises for the purposes for which he is invited or permitted to be there. The law related to occupiers’ liability is significant in the context of health and safety. 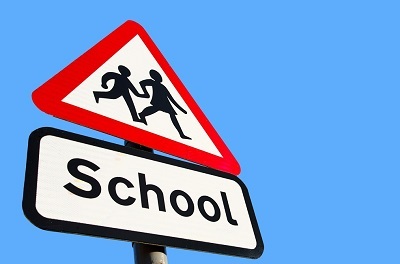 Most recently, in C v City of Edinburgh Council (2018), C, a parent, claimed compensation from the local education authority for injuries suffered by her when a sign became detached from the wall of a primary school and struck her on the head. She had been walking across a playground when the sign was detached by a gust of wind. She suffered a lacerated forehead and an exacerbation of a frozen shoulder. She was left with a permanent visible scar and continued to suffer headaches, dizziness, motion sickness, anxiety, sleep disturbance and impaired concentration. She was diagnosed as having sustained a mild brain injury. Evidence was given by another parent that immediately before the incident she had seen the sign flapping in the wind and had told the school janitor. C was struck before he had been able to take action. The janitor gave evidence that he found that some of the screws holding the board to the wall were rusted thin and the board itself was wet and water damaged. He had not checked the sign and no risk assessment of the playground had been carried out. vicarious liability for the janitor’s failure to check the sign and secure or remove it. No one had applied their mind as to whether the sign was a potential hazard. It was, or ought to have been, reasonably foreseeable that the fixings of a sign attached to an eternal wall would deteriorate over time leading to the likelihood of it becoming unsafe. In not assessing that risk or implementing an inspection regime, the education authority had failed to take reasonable care for the safety of visitors to the school. The defects in the sign’s fixings were readily identified when the board was inspected after the incident. On the balance of probabilities, if the authority had inspected the fixings before the incident, the defects would have been noted and the sign removed or secured. Another recent Scottish case in this context is Cairns v Dundee City Council (2017). C, a pedestrian, claimed compensation from the local authority for injuries which he suffered when he slipped on black ice in a public car park. He gave evidence that members of the public who helped him after he had fallen had difficulty keeping their feet. The ambulance technician and paramedic who attended him found the surface slippery even though they wore footwear with good grips. D’s maintenance assistant worked on weekdays and most Sundays but did not work on Saturdays, the day on which the incident happened. He did not visit all of the authority’s car parks on a daily basis and he exercised experience and judgment when deciding whether it was appropriate to carry out gritting. He had picked up some gritting salt and had visited the car park the day before the incident. C claimed that the authority had been in breach of the Occupiers’ Liability (Scotland) Act 1960 in that the absence of an ice detection and treatment regime on Saturdays was a breach of the authority’s duty and that a reasonable system would have involved detection and treatment before the local shops opened in the morning. The Scottish court dismissed the claim. The maintenance assistant was a credible and reliable witness. It was accepted that he had visited the car park on the day before the incident. If it had been required, he would have gritted the main parts of the car park but not the individual parking bays. It was a matter for the authority when and where to deploy its workers and the court was reluctant to trespass into that area, which involved questions of prioritisation and allocation of resources. The time at which the black ice formed was a matter of speculation and it could not be said whether it would have been gritted before the accident. The authority’s duty of care did not extend to erecting a warning sign that the ground might not have been gritted in icy conditions. In Donaldson v Brighton District Council (2001), D, an employee of S, was sent to clean out water tanks in the loft of a school owned and occupied by BDC. A purpose-built ladder was attached to the wall under the loft. D was not told that the ladder was not used. He climbed the ladder which became displaced. He fell and was injured. He claimed compensation from S and from BDC. It was accepted that the ladder was defective. A health and safety audit carried out nine months earlier had revealed two other defective ladders and had advised BDC to put a system in place to ensure that equipment was in good condition. BDC had failed to comply with this. The county court found S and BDC liable. Its judgment included the following. It had been reasonable for D to use the ladder. It was purpose built, appeared to be sturdy, and he had not been instructed not to use it. BDC had breached its duty under the Occupiers’ Liability Act. The Provision and Use of Work Equipment Regulations 1992 applied to BDC as an occupier even though it was not D’s employer. BDC was aware that the ladder was defective. It had failed to put into effect the required system to inspect and identify the ladders. Defective ladders should have been supplied with warning signs or repaired or destroyed. S had failed in its duty to train D properly. It should have advised D of health and safety issues, assessed his previous experience and provided him with relevant documentation. The Manual Handling Operations 1992 applied. A risk assessment should have been carried out. Liability was equally apportioned between S and BDC. D was contributorily negligent to the extent of 25%.